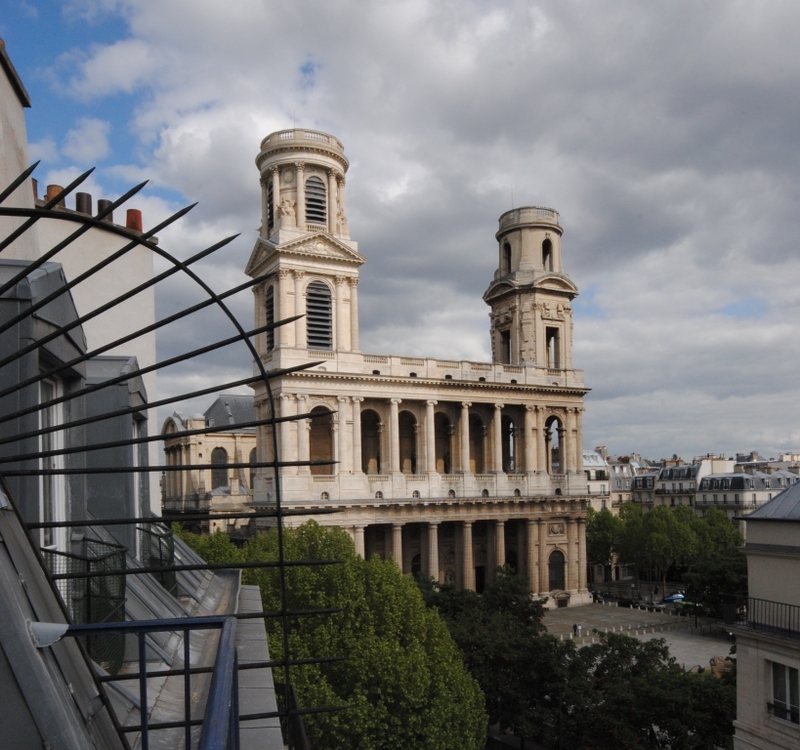 The organ tradition of St. Sulpice dates back a long time. From the mid 16th century we can observe the presence of an organist. Then the well known Guillaume Gabriel Nivers and Louis Nicolas Clérambault follow. 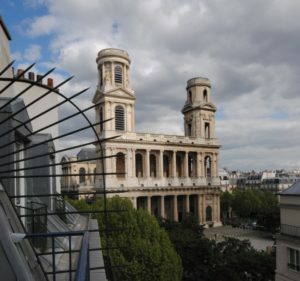 But these organists served the first parish church of Saint-Sulpice. The current church building, built during the mid 18th century to the design of the architect Chalgrin, contains the monumental organ case (also designed by Chalgrin) that we can admire to this day. This case originally contained an instrument built in 1781 by Clicquot, with five manuals, 64 stops, and a Montre of 32 ft. The organ was considered to be one of the finest organs of the French kingdom, along with those of Saint-Martin de Tours and Notre-Dame de Paris. Thanks to the talent of its organist, Nicolas Séjan, the instrument became famous throughout Europe. In 1863, the brilliant virtuoso Lefébure-Wely was nominated organist. He was succeeded in 1870 by Charles-Marie Widor who was only 26 years old. Nominated with the title as a “temporary organist,” he was never given the official title of “titular” during his 63 year presence at Saint-Sulpice! He resigned on the 31 December 1933, handing the post over to Marcel Dupré, another great figure in the organ world. Dupré died during the afternoon of Pentecost in 1971 after playing for the mass that morning. He was succeeded by his student, Jean-Jacques Grunenwald, another great musician who would only hold the post for ten years. These artists, with high regard for Cavaillé-Coll’s work, had left the instrument intact; such was not the fate of many of his other instruments, which more or less have been modified during the first half of the 20th century. In fact, this instrument should not be viewed as that of a romantic-symphonic style, which many may suggest. Instead, the creator desired an instrument where the classic tradition and the new romantic style are intimately linked!